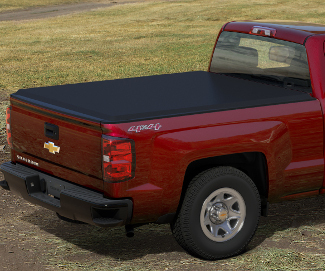 These Hard Folding Tonneau Cover provide quick-and-easy access to the cargo area of your Silverado while providing protection for items in the pickup bed. Available in two styles: premium quad-fold (with optional Personal Caddy) and tri-fold. 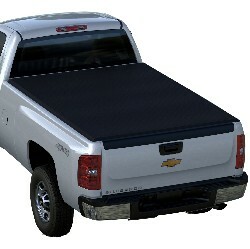 Contact your Chevrolet dealership for more information.. 8 ft box, tonneau cover-hard top, chevrolet.